I’d like to thank some of Tate Publishing’s victims for contributing a few of the items on this list! What are some sure-fire signs your publisher may be going out of business and what can you do to save your book from instant demise before (or when) they do? 2. The publisher hosts lavish events that make it obvious they’re not being responsible with their cash-flow. The owner may display (and flaunt) signs of wealth that you wouldn’t expect from someone in this type of industry. 3. They hire editors for English-language books…who barely speak English. 4. Each time you call or email them about your book, you get a different person. High employee turnover. Or, the “leader” of a division of the company, who was very bad at their job anyway, suddenly leaves. 5. You place an order for copies of your book but the order doesn’t arrive, or arrives way behind schedule. 7. Late or non-existent royalty REPORTS. 8. Late or non-existent royalty PAYMENTS. 10. Industry insiders are reporting that their business has slowed significantly. 11. Their business drops but they keep bleeding the same amount of cash (they don’t tighten their belts but, instead, keep expanding and sending out newsletters claiming they’re growing). 12. Increasing numbers of complaints about them posted online. 14. They start sending out increasingly desperate, insistent marketing messages, trying to get authors to spend more and more money. It becomes obvious that they need lots of money from new authors to pay their existing authors’ royalties, as well as other expenses. At this point, the owners may know they’re going out of business soon and they’re trying to sock away as much cash as they can, knowing full-well that they will not be performing any services for those new authors (who have already paid them). Also at this point, the publisher has usually stopped paying royalties. Some compare this behavior to a ponzi scheme. 15. Employees get noticeably upset when you don’t spend enough money on a product or service (i.e. ordering 250 copies instead of 500 or 1000). 16. They think of ridiculous ways to upsell authors on downright ludicrous products and services that will never bring in as many book sales as those products and services cost. 17. They offer to refund your fees if you sell a specific number of books AND the terms of those purchases must be very specific (i.e. only sales through the publisher’s website qualify…but everybody knows that most people buy books through Amazon). 18. There are online threats of lawsuits (or actual lawsuits) against the firm by authors and/or vendors. 19. Their business dealings are so bad that even their employees are complaining about them online. 21. They claim to have run advertisements for your book (that you paid for) but they can’t show you any proof that any ads actually ran. Or, they claim to have displayed your book at out-of-state book fairs, but can provide no proof that they even attended those book fairs, much less displayed and promoted your book. 22. They claim to have sent out press releases about your book, or promoted your book to libraries and bookstores, or performed any fee-based marketing task at all…but they can’t prove any of those services were ever performed. 23. You start seeing comments, posts, and articles online about them not paying their bills. 24. The desperate publisher starts to display odd, disturbing behavior, which may be upsetting to employees and authors alike. Unfortunately, when a publisher goes out of business, many authors look back, and realize the writing had been on the wall for months, if not years. If a publisher has performed so poorly that they can’t even sell their authors’ contracts to another publisher, they really, REALLY screwed up! All of those authors are left in a lurch, with no way for anyone to buy their books. What’s an author to do? All authors of troubled or defunct publishers are eligible for BookLocker’s Disgruntled Author Special, which means their book can be back on the market in as little as 2 weeks, for as little as $78. BookLocker has published more than 9,000 books in the past 18 years. They are still family-owned and -operated, run a tight ship, and have an EXCELLENT reputation. 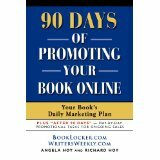 BookLocker doesn’t upsell authors on worthless products and services and they fight for authors’ rights. They also have an A+ rating at the Better Business Bureau. THIS ARTICLE explains how BookLocker has stayed in business and strong for so long while so many others have failed. If you feel your publisher may be in trouble, don’t wait until it’s too late. Contact Angela today, RIGHT HERE. One Response to "25 Sure-fire Signs Your Publisher May Be Going Out of Business (and what you can do NOW to save your book!)" Excellent advice. I’ll add two more. 1. When you see good reason to be suspicious, don’t wait for the ultimate in proof. Then it will be too late. Swallow any losses and leave quickly. The first few authors to go are likely to be allowed to depart quietly. This publisher-in-trouble doesn’t want bad publicity. But once its troubles are widely known, it has no reason to cooperate. 2. Also some people have a knack for spotting trouble, while some don’t. If you’re one of the latter, you might cultivate friendships with the former and take their advice. Keep in mind this applies to all of life, including employment. I’ve written a book—Senior Nurse Mentor—about how matters went sour at a large children’s hospital where I was on the nursing staff. Disgusted with how staff were being treated, I wrote a strongly worded resignation letter and left. Mere weeks later, there was a mass exodus, with some 20% of the nurses quitting and replacements hard to find. My suggestion for a new nursing speciality, a senior nurse mentor, is intended to create a position, beholden to no one, to give voice to issues that damage nursing morale and result in costly turnover.